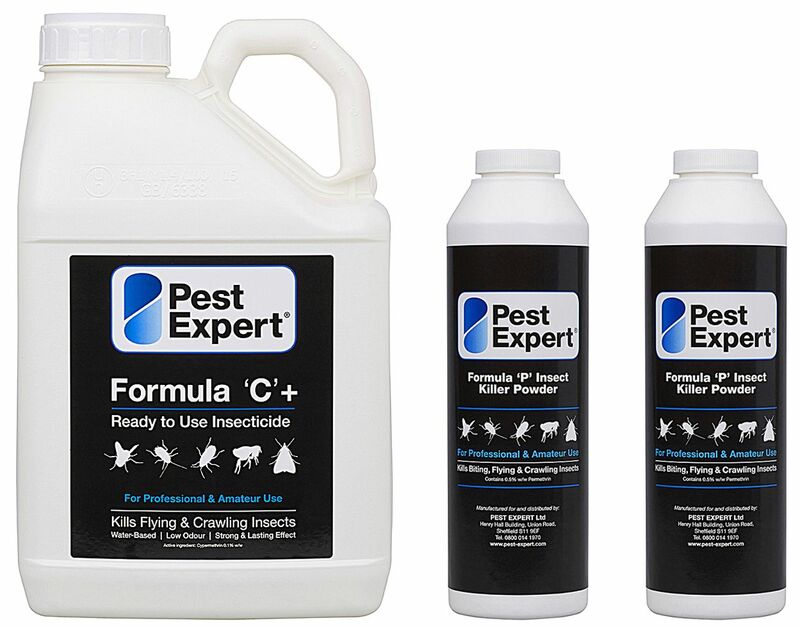 This Woodlice Killer Kit enables you to carry out a comprehensive woodlice treatment to an average size house, using a range of the best woodlice killer products from market leaders Pest Expert including: Formula 'C+' Woodlice Spray and Formula ‘P’ Woodlice Powder. The combination of insecticides delivers a rapid knockdown of woodlice and helps maintain long-lasting woodlice control. Supplied with full instructions for use. This Woodlice Killer Kit enables you to carry out a comprehensive woodlice treatment to an average size house. The combination of insecticides in the Kit delivers a rapid knockdown of woodlice and helps maintain long-lasting woodlice control. 1 x Pest Expert Formula 'C+' Woodlice Spray 5L: For application to floors, kitchen surfaces or anywhere in the home or workplace for effective control of woodlice. Covers 100 sq m.
2 x Pest Expert Formula ‘P’ Woodlice Powder: For application to cracks, crevices and in areas where electrical equipment may be present and a water based spray cannot be administered. 1 x Protective Coveralls, Safety Mask & Gloves: For airway and skin protection when administering insecticidal products. The Kit is also supplied with step-by-step instructions to explain how to carry out a complete professional-standard woodlice treatment using the woodlice products provided. This kit is sufficient to treat an average size house. Full instructions are included with the Woodlice Treatment Kit Advanced.